Grants to researchers around the world to provide high-quality data and refined search techniques! On-line proposal deadlines are 31 January and 31 July! Each year, the International Centre for Diffraction Data (ICDD) extends financial support to qualified investigators, in the form of grants-in-aid awarded on a competing proposal basis, for the preparation of reference X-ray powder diffraction data. The ICDD charter stipulates that the goals of the ICDD include the collection and dissemination of diffraction reference standards and the sponsorship of suitable research projects for the improvement and utilization of such data. The ICDD Grant-in-Aid Program was established to contribute to these goals. New to the Grant-in-Aid Program? STEP TWO – Submit a powder diffraction pattern of NIST standard reference material, preferably AI203, Aluminum Oxide. Does your research project involve the preparation and characterization of new materials using powder diffraction techniques? If the answer is YES, then ICDD’s Grant Program is the perfect fit for you! For over 75 years, ICDD has been dedicated to collecting, editing, publishing, and distributing powder diffraction data for the identification of crystalline materials. ICDD’s boasts one of the world’s largest software databases, The Powder Diffraction File™, or PDF® which continues to grow and evolve. To assist us in this growth, ICDD has called on researchers from around the world to contribute their experimental data. Their contributions account for approximately a quarter of the current experimental file. In return, ICDD supports their efforts by funds provided through our Grant-in-Aid Program. It is much more than just the monetary funds that ICDD provides to our approved recipients of the grant program. The funds can help upgrade your lab equipment and supplies, aid your current research, or help in pursuing a new project. One of the most valuable benefits received by our grantees is the price reduction of 50% off an ICDD PDF-4+ or PDF-4 Organic database. This savings is huge! It is one of the many reasons ICDD has grantees who return year after year to participate in this program. Help meet the individual needs of diffractionists worldwide! Preferential consideration will be given to proposals for generation of high-quality experimental powder diffraction patterns, based on new data for phases which are not now represented in the Powder Diffraction File (PDF), but which are likely to be of considerable interest to present and future PDF users. Special consideration will also be given to classes of substances of high current interest, including new types of materials, which have significance in industrial and research applications. While these priorities will change with time, the ICDD interests generally lie in ensuring that the PDF satisfies the paramount needs of the diffraction community. Proposals for generating patterns of a series of materials differing only by substitution of similar atoms, with little effect on the patterns, will not be given high priority. On occasion, the ICDD will entertain grant proposals for the generation of high-quality experimental PDF patterns of materials for which current PDF patterns exist but are of such lesser quality that identification of the phases by most users is seriously affected. In addition, the ICDD will consider proposals for the generation of high-quality calculated patterns based on demonstrably correct structure data for phases not already represented in the PDF. It should be remembered, however, that the main interests for the Grant-in-Aid Program are in the production of new, high-quality indexed experimental patterns. In the assessment of what is “new”, it should be kept in mind that, at any one time, 50,000 patterns may be in the editorial process at the ICDD. The intending proposer can avoid the disappointment of proposing a pattern that would potentially duplicate an existing, but yet unpublished, pattern by contacting the Grant Coordinator at ICDD Headquarters prior to submission of a proposal for access to the web-based list of compounds in the ICDD master database which includes published patterns and those in the editorial process. Consecutive proposals will be considered for those grant recipients who have clearly demonstrated their ability to meet the goals of the current grant projects, while furthering the goals of the ICDD. Occasionally, an extenuating circumstance occurs during a recipient’s grant period, which makes the recipient unable to complete the project by the deadline. When this occurs, the grant recipient must contact the Grant Coordinator immediately. ICDD grants are not subject to cost accounting and reporting on the part of the recipient institution and, in exchange, cost-sharing on the part of the institution is expected. Typically, this cost-sharing takes the form of waiver of indirect costs and contribution of faculty salary or principal investigator time. Copyright on the patterns and supporting information is transferred to the ICDD. However, publication in Powder Diffraction or other appropriate journals with acknowledgement of the ICDD Grant-in-Aid is encouraged. The ICDD Grant-in-Aid Program observes two independent cycles. The schedule for each cycle is listed below. Pattern-producing grants are intended principally to be supplements to other research projects in which single phase pure compounds are being synthesized and characterized. Support is provided by the ICDD to prepare reference powder diffraction patterns (d & I type) of these compounds for the PDF. The required data format to submit to the ICDD is CIF. The data entry program, DataQUACkER, allows users to save most of the GiA required data as a CIF. Submission of digitized diffractograms is a requirement of the ICDD Grant-in-Aid Program. This digitized pattern should be prepared in accordance with the guidelines of the ICDD, entitled Guidelines for the Preparation of Digitized X-ray Powder Patterns. Similarly, grant recipients are strongly encouraged to produce Reference Intensity Ratio (RIR) data on all new phases. If Rietveld refinement is used in the work, the grantees are encouraged to submit the refined atomic coordinates and other crystal structural data. In response to proposals by groups not acquainted with the ICDD’s goals and expectations, “starter” grants are issued for the first-time grantees and are set at a maximum of 5 patterns for $1,000. Their purpose is to give promising potential grantees the chance to demonstrate that they have the required pattern-producing capability so that they can submit a strong proposal in time for a future deadline. The ICDD sponsors grants that are not intended to produce new patterns, but rather to support projects which advance the quality of the PDF by replacing existing patterns with improved ones. Included within this category are projects based on historical reviews of the PDF, reworking of data already present in the PDF, and preparation of supporting material. Consideration will be given primarily to those project proposals, which are directly applicable to specific interests of the ICDD or have potential for future diffraction analysis tools or products. Please contact the Grant-in-Aid Coordinator before submitting an application for this type of grant to discuss suitability of the proposal. Use this list as a guide or recommendation in making a selection for Grant-in-Aid proposals. ICDD is always looking to enhance and expand our database with interesting high-quality diffraction patterns. Grant-in-Aid proposal submissions are received via the Approved Grantee Area Icon, located on the main page of the Grant-in-Aid section on ICDD’s website. If this is your first time submitting a proposal to ICDD, two sample patterns are required prior to submitting the proposal. These patterns are to be sent to the Grant-in-Aid Coordinator for evaluation. Once these patterns are reviewed and considered to be acceptable quality, the Grant-in-Aid Coordinator will provide access to the Approved Grantee Area, to submit a proposal. Deadlines for receipt of Grant-in-Aid proposals are 31 January and 31 July. The ICDD Grant-in-Aid Committee reviews all proposals received. The committee reviews proposals submitted by the 31 January deadline in March and for the 31 July deadline in September. Approved proposals for Grant-in-Aid funding become effective as of 1 April (Cycle I) and 1 October (Cycle II). You will receive notification by the Grant-in-Aid Coordinator of the outcome of your proposal following the review meetings. On approval of a proposal, an Acknowledgement of Agreement of the Approved Grant and a Publishing Agreement will be issued. ICDD obtains the copyright for the data provided on approved grant projects. Permission for grantees to publish the data at a later date will be granted upon request. ICDD requires two report submissions during the duration of a Grant-in-Aid cycle. The first report is the Midterm Progress Report. This report is submitted at the middle of the Grant-in-Aid cycle. The final report is due upon completion of the project or by the Grant-in-Aid Cycle deadline. All reporting is submitted via the Approved Grantee Area. Grant-in-Aid funds are initiated by wire transfer only. The payments structure is based on the total amount of funding approved. The funds will be disbursed quarterly or on a semi-annual basis during the grant cycle. The Distinguished Grantee Award was instituted in 1999 to recognize the ongoing efforts of exceptional Grant-in-Aid recipients, whose work for the ICDD goes beyond the measurement of high quality powder patterns. The award is presented triennially. The ICDD Grant-in-Aid program is open to all scientists who produce high quality powder data and who, after a preliminary trial period, are awarded monetary grants from the ICDD in return for submission of their patterns to the ICDD. The ICDD Grant-in-Aid Committee is responsible for the selection of an awardee. Submissions may be made to the committee and a tally of votes determines the winner. The Distinguished Grantee Award is presented at the Technical Committee Session of the ICDD Annual Meeting. The award consists of a gift of $1,000, and a commemorative plaque. The awardee is expected to present a scientific paper and spend several days at the International Centre Headquarters. Travel and accommodation costs for the recipient are covered by the ICDD. ICDD is pleased to announce the 2019 Distinguished Grantee award winner, Dr. Leonid Vasylechko. Honoring his meritorious service to the ICDD Grant Program, supplying over 720 new experimental powder diffraction patterns. Dr. Vasylechko is the eighth recipient of this award joining his predecessors, Drs. Vyacheslav Baumer, Xinkan Yao, Bogdan Lazorak, Sergei Kirik, Evgeny Antipov, Shao-Fan Lin and Ekkehart Tillmanns. Dr. Vasylechko was a student at the Lviv State University from 1986-1989 specializing in Inorganic Chemistry. He received his Ph.D. in Inorganic Chemistry at Ivan Franko Lviv State University (Ukraine) in 1991. In 2005, he received his Doctor of Science degree from the same university. Dr. Vasylechko is currently a Professor and Principal Research Fellow in the Semiconductor Electronic Department of Lviv Polytechnic National University, Lviv, Ukraine. He is a member of the Ukrainian Crystallographic Association and Ukrainian Physical Society, as well as an ICDD member. Dr. Vasylechko served on various editorial boards and committees including the local organizing committee and a co-organizer for ICDD’s Grant-in-Aid Workshop in Lviv, Ukraine in 2016. He also lectures for MA and Ph.D. courses at the University and supervises BS, MS, and Ph.D. students. Dr. Vasylechko was introduced to the ICDD Grant-in-Aid Program in 2001. His grant projects involve the generation of new experimental powder diffraction patterns of complex oxides and intermetallics. Since then, he has contributed over 720 “*” star quality patterns, the highest quality designation in the Powder Diffraction File™. Congratulations to Dr. Baumer, the ICDD Distinguished Grantee for 2016. Dr. Baumer is the seventh recipient for this award joining his predecessors, Drs. Xinkan Yao, Bogdan Lazorak, Sergei Kirik, Evgeny Antipov, Shao-Fan Lin, and Ekkehart Tillmanns. Dr. Vyacheslav Baumer was a student in Inorganic and Solid State Chemistry at Kharkiv University, Kharkiv, Ukraine from 1967-1972. He later became an engineer, researcher, and teacher in the Chemical Faculty, Dept. of Inorganic Chemistry where he taught courses in inorganic chemistry, crystal chemistry, X-ray structure analysis, and was supervisor of graduate students until 1996. From 1996 to 2003, he worked at the Institute for Single Crystals National Academy of Sciences in Kharkiv, Ukraine where he was a Senior Researcher in the Laboratory for Structure Investigations, now named the Laboratory for X-ray Structure Analysis and Quantum Chemistry. He currently works at the State Scientific Institution, STC, Institute for Single Crystals National Academy of Sciences of Ukraine, in Kharkiv as a Senior Researcher in the Laboratory for X-ray Structure Analysis and Quantum Chemistry. He teaches short courses on X-ray powder diffractometry at Kharkiv State University and crystal chemistry at Kharkiv Military University. He has more than 350 scientific publications. Prof. Xinkan Yao of the People’s Republic of China was presented with the ICDD Distinguished Grantee Award at the Annual Meeting of Members on 14 March 2013. Prof. Yao studied Chemistry at Nankai University from 1957-1962. He worked at Nankai University in their Chemistry Department as an Assistant Lecturer from 1962 to 1982. In 1982 to 2002, he worked in the Central Laboratory of Nankai University as an Assistant Professor and a Professor (from 1992 to 2002). From 2002 to present, he has been with the Tianjin Institute of X-ray Analyses as a Professor. His primary research specialties are X-ray crystallography and coordination compound chemistry. He published about 100 articles. Prof. Yao is very active in the Chinese powder diffraction community, supporting the Chinese National Meeting. He was elected to ICDD membership in July 1998. The ICDD Distinguished Grantee Award is presented to a grantee who has demonstrated exceptional contributions to the ICDD through Grant-in-Aid activities. Prof. Yao was introduced to the ICDD Grant-in-Aid Program in 2002. Since then, he has contributed over 557 patterns with most of them being of “*” and “R” quality. Congratulations to Prof. Xinkan Yao, the ICDD Distinguished Grantee. Prof. Yao, joining his predecessors, Professors Sergei Kirik, Evgeny Antipov, Shao-Fan Lin, and Ekkehart Tillmanns, has become the fifth recipient for this award. 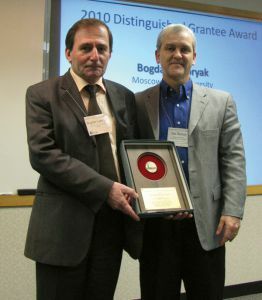 Prof. Bogdan Lazoryak was presented with the Distinguished Grantee Award for 2010. He attended Moscow State University, Department of Chemistry from 1972 – 1977 and received a first-class diploma. At Moscow State, he was a post-graduate from 1978-1981 and was a Candidate of Chemical Sciences in 1982 (“Structure and properties of double molybdates, tungstates and phosphates of alkaline and rare earth elements”). He earned his Doctor of Chemical Sciences in 1992 (“Design, structure and properties of phosphates and silicophosphates with tetrahedric anions”). He has over 25 years of experience as a research and a professor at Moscow State University, Department of Chemistry, Chair of Inorganic Chemistry and Chemical Technology. In 1987-1988, he worked as a research at the Laboratory of Solid State Chemistry, University of Bordeaux, France. He currently supervises 57 graduate and 18-post-graduate students. His primary research interests include solid state chemistry, inorganic chemistry, crystal chemistry and chemical methods of materials analysis; design, structure, synthesis, properties and reactivity of materials for proton conductive ceramics, sensors and high-temperature membrane catalysts of hydrogenation and dehydrogenation processes; reversible non-destructive redox reactions in solids. He has published over 182 articles in scientific journals. The ICDD Distinguished Grantee Award is presented to a grantee who has demonstrated exceptional contributions to the ICDD through Grant-in-Aid activities. Prof. Lazoryak was introduced to the ICDD Grant-in-Aid Program in 1993. Since then he has contributed over 490 patterns, with 98% of those being of “*” quality. 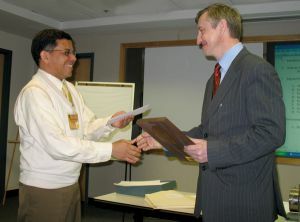 At the spring 2007 ICDD Technical Committee Meeting in Newtown Square, Pennsylvania, Dr. Sergei Kirik of Russia was presented with the ICDD Distinguished Grantee Award. Dr. Kirik was born in Krasnoyarsk. He received his Masters of Science degree from the Novosibirsk State University (1981). 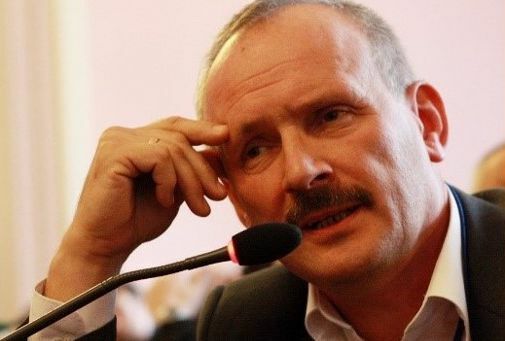 He became of Post-Graduate student at the Institute of Inorganic Chemistry, Russian Academy of Sciences and then received his Ph.D. from the Institute of Inorganic Chemistry, USSR Academy of Sciences in 1981. In 1993, he received a Doctorate Degree in Chemical Sciences at the Institute of Inorganic Chemistry, Russian Academy of Sciences with his thesis, “Modern Methods of X-ray Powder Diffraction and its applications to the Tasks of Inorganic Chemistry.” It is an interesting fact that during the period of his Ph.D. thesis preparation (in 1979), he received support and advise from Prof. G.G. Johnson, Jr., (Materials Research Lab., Pennsylvania State University). Ten years later, he received similar advise from Prof. D.K. Smith. They have both been past Chairmen of the ICDD Board of Directors. Dr. Kirik became a Senior Teacher at the Institute of Non-Ferrous Metals in Krasnoyarsk. He then became a Senior Researcher at the Institute of Chemistry and Chemical Technology, Russian Academy of Sciences. Presently, he is the Head of the Laboratory of the X-ray Structure Investigations at the Institute of Chemistry and Chemical Technology of the Russian Academy of Sciences in Krasnoyarsk and Professor/Chair of Inorganic Chemistry at the State Academy of Non-Ferrous Metals and Gold in Krasnoyarsk. His primary research interests include inorganic chemistry: complex compounds, binary and ternary oxide systems, super and ionic conductors, ceramics and mesostructured materials. His scientific contributions include pattern indexing, full profile refinement, image recognition techniques for powder patterns, simulating annealing in structure determination, and using continuous density techniques for modeling nanostructures. He has published over 190 articles in scientific publications. The ICDD Distinguished Grantee Award is presented to a grantee who has demonstrated exceptional contributions to ICDD through Grant-in-Aid activities. Dr. Kirik was introduced to the ICDD Grant-in-Aid Program in 1993. Since then, he has contributed over 600 patterns, with 95% of those being of “*” quality. Dr. Kirik has been an ICDD member since 1997. 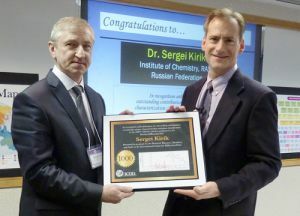 Congratulations to Dr. Sergei Kirik, the ICDD Distinguished Grantee. Dr. Kirik, joining his predecessors, Professors Evgeny Antipov, Shao- Fan Lin, and Ekkehart Tillmanns, has become the fourth recipient of this award. 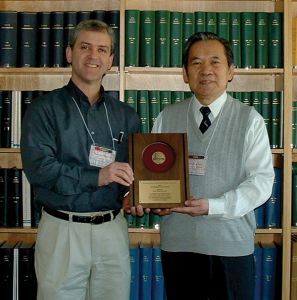 At the Spring 2004 ICDD Technical Committee meeting in Newtown Square, Pennsylvania, Prof. Shao-Fan Lin of the People’s Republic of China was presented with the ICDD Distinguished Grantee Award. Professor Lin was a student of organic chemistry at Nankai University. He completed his studies in 1958 and was a researcher at Nankai University until 1981. He then had the opportunity to attend Rutgers University as a visiting professor through 1982. He returned to Nankai University, was promoted to full professor, and remained there until 2003 when he retired. In Professor Lin’s case, retirement is a loose term, because he is now working at the Tianjin Institute of Analysis where he has resumed his ICDD grant activities. The ICDD Distinguished Grantee Award is presented to a grantee that has demonstrated exceptional contributions to the ICDD through Grant-in-Aid activities. Not only has Prof. Lin been a significant contributor to the PDF database through his grant proposals (over 700 diffraction patterns through grants since 1987), he has also organized workshops in China, which have not only been successful in bringing many Chinese scientists into the Grant-in-Aid Program, but have also been important in connecting ICDD with diffractionists throughout China. Congratulations to Prof. Shao-Fan Lin, ICDD Distinguished Grantee. Prof. Lin is the third recipient, joining Prof. Ekkehart Tillmanns from the University of Vienna, who won the award in 1998 and Prof. Evgeny Antipov from Moscow State University, who won the award in 2001. 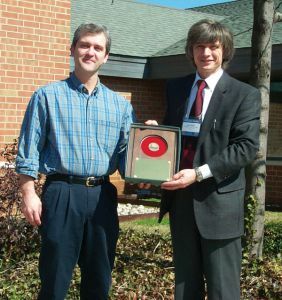 At the Spring 2002 ICDD Technical Committee meeting in Newtown Square, Pennsylvania, Prof. Evgeny Antipov of Russia was presented with the ICDD Distinguished Grantee Award. Prof. Antipov was born in Tuapse, a small town on the Black Sea coast. After graduating from secondary school with a gold medal, he attended Moscow State University and under the direction of his scientific advisor Prof. Kovba, Prof. Antipov graduated from Moscow State University with his Ph.D. and Doctor of Sciences. As a faculty member at Moscow State University, he became a full professor in 1998. His scientific interests include solid-state chemistry, synthesis of new inorganic compounds, crystal chemistry of inorganic compounds, and X-ray diffraction. He has published more than 170 papers, has delivered more than 40 invited lectures at international conferences, and has received several awards for his work in superconductivity. The ICDD Distinguished Grantee Award is presented to a grantee that has demonstrated exceptional contributions to the ICDD through Grant-in-Aid activities. Not only has Prof. Antipov been a significant contributor to the PDF database through his grant proposals (302 published patterns, 296 star quality), he has also been actively involved with the organization of grant workshops, the latest taking place in Lviv, Ukraine this past January. In 1990 Evgeny participated in the 15th IUCr Congress, his first conference outside the Soviet Union. He met Dr. Ron Jenkins, Principle Scientist at the ICDD in 1990, near an ICDD poster. Ron suggested that Prof. Antipov participate in the Grant-in-Aid Program. Eventually the grant was approved—the first grant Prof. Antipov received. The first ICDD grant workshop in Moscow followed in 1993 and became the starting point of a very active Russian participation in the Grant-in-Aid Program. More than one-third of the grant proposals reviewed at the March 2002 ICDD Spring meeting were from scientists who have attended or been associated with workshops organized by Prof. Antipov. Congratulations to Prof. Evgeny Antipov, ICDD Distinguished Grantee. Prof. Antipov is the second recipient, joining Prof. Ekkehart Tillmans from the University of Vienna, who won the award in 1998. Tom Blanton, Chairman of the Grant-in-Aid Committee presenting the Distinguished Grantee Award to Professor Evgeny Antipov. 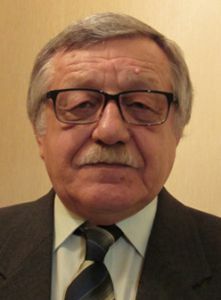 Sergei Kirik, of the Institute of Chemistry and Chemical Technology, Russian Academy of Sciences, was honored at the 2013 ICDD Spring Meetings for his contributions to the Powder Diffraction File, contributing over 1000 patterns. Three other individuals have met this milestone, Don Hanawalt, Larry Calvert and Shao-Fao Lin. Currently Dr. Kirik has published 1,185 references. 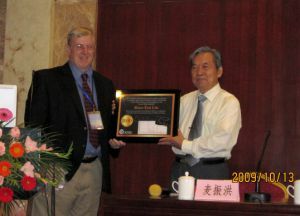 At the 10th National Conference on X-ray Diffraction and ICDD Workshop in Shanghai, China, October 11-17, 2009, Professor Shao-Fan Lin was recognized and celebrated for his outstanding contributions to materials science, characterization, and phase identification. Dr. Timothy Fawcett presented Professor Lin with an award on behalf of the members and Board of Directors of the ICDD, for his submission of 1000 reference patterns published in the Powder Diffraction File.™ Shao-Fan Lin is only the third person who has authored 1000 patterns, joining Don Hanawalt from the Dow Chemical Company and Larry Calvert from the National Research Council of Canada. Hanawalt’s work was part of the foundation of the Powder Diffraction File™ in 1941. As of Release 2009 of the Powder Diffraction File™, Professor Lin has published 972 reference materials and has another 45 in-press for a total of 1,017. Professor Lin contributed exceptional quality material data sets and has published the crystal structures as well as the powder patterns for over 140 materials. His work has included characterization of pharmaceuticals, pesticides and many natural products found in Chinese medicine. The award plaque displays the powder pattern and crystal and molecular structure of methyl ephedrine. This was the first published structure of this commercial stimulant, which is manufactured in Asia and globally distributed. Since his first grant in 1988, Professor Lin has contributed material data sets for publication for 21 consecutive years. 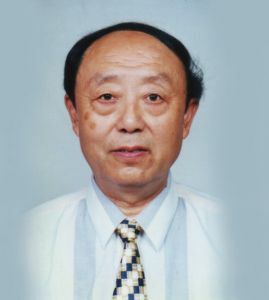 Professor Lin was also the recipient of the 2004 ICDD Distinguished Grantee Award. Not only has he contributed over 1000 X-ray powder diffraction patterns through the Grant-in-Aid Program, he has also been a major organizer for all the ICDD Grant-in-Aid workshops in China over the past fifteen years, with more than one hundred distinguished scientists attending each. Professor Lin also inspired many other Chinese scientists to become grantees for the past twenty years. There are currently 11 active grants in China. In 1988, Professor Lin was named ICDD’s first Regional Technical Co-chair for China. Together, with Professor Xiaolong Chen, the current Co-chair , they have recruited the second largest country membership in the ICDD. Professor Lin was born in Wuhan, a strategic industrial city in China. He studied organic chemistry at Nankai University in Tianjin, China and became a university faculty member after graduation. He took a two-year sabbatical and carried out research on computers in chemistry at Rutgers University in the United States as a Visiting Scholar. Upon returning to Nankai University, he gained his full professorship and assumed the position of Chairman of Central Laboratory there. Since his retirement from Nankai University in 2003, he started a new position at the Tianjin Institute of Analysis. His primary research interests include computers in chemistry, interpretation of diffraction patterns, chemistry information on the Internet, compound structure and character relationships, computer-assisted organic synthesis, and computer-assisted instruction. 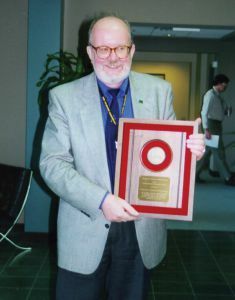 He has been extensively involved in the computerized identification of X-ray powder diffraction patterns. He has published three books and over one hundred scientific papers. Professor Lin has also been very active in the Chinese scientific community. He is currently the Vice Chairman of the Chinese Society of Crystallography, a member of the council of the Chinese Society of Chemistry, the Vice Chairman of the Commission on X-ray Diffraction of Chinese Society of Physics, Chairman of Tianjin Society on X-ray Analyses, a member of the Commission on Powder Diffraction IUCr, member of Committee on IXAS, as well as the past Chairman of the Central Laboratory Nankai University. He was also involved in many ICDD editorial efforts, including the cross-referencing of the Merck/PDF™/CSD databases, and extracting metal and alloy data from the literature, as well as providing ICDD the two-dimensional structures for the PDF™ organic entries.